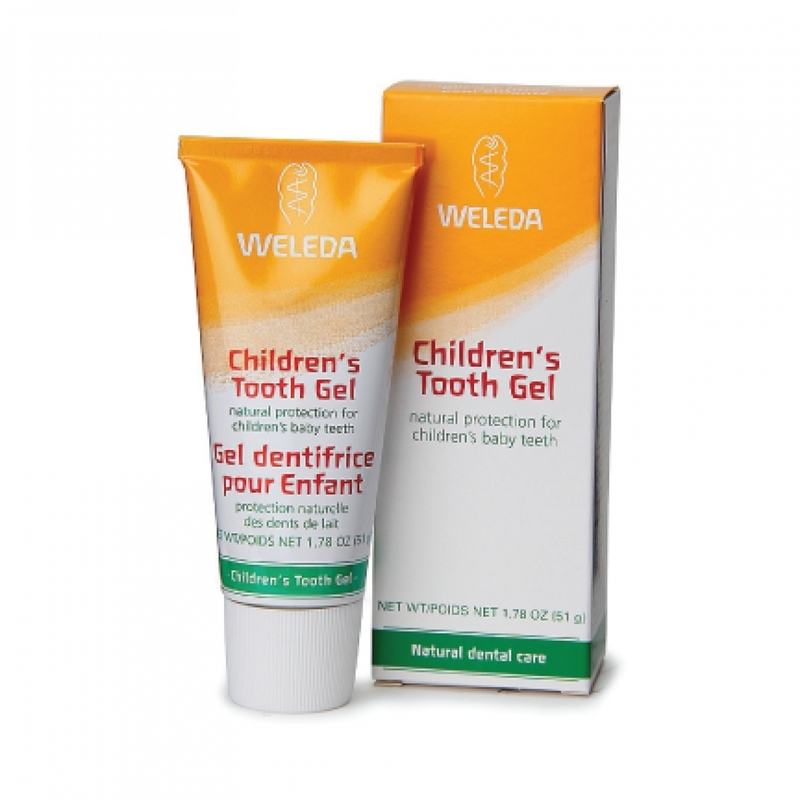 Natural silica in our Children’s Tooth Gel gently cleanses while the soothing properties of organic calendula flower extract pacify tender gums. Developed in cooperation with European dentists, our fluoride-free natural baby toothpaste thoroughly cleans your child’s entire mouth and is safe to swallow. The mild flavors of spearmint and organic fennel in our Children’s Tooth Gel help encourage your child’s good dental hygiene to last a lifetime. Apply a small amount of Children’s Tooth Gel to a dry toothbrush, and brush over the teeth and gums for a thorough cleaning.